Introducing our cast of characters! I live in a very fun home. There is a Dog, Pig, Cat and Bird that all live indoors and a Tortoise and a Hare that live in the backyard. Emma Zen the Dog and Hare-iet the Rabbit and Cindy the elderly cat all came from our local animal shelter. 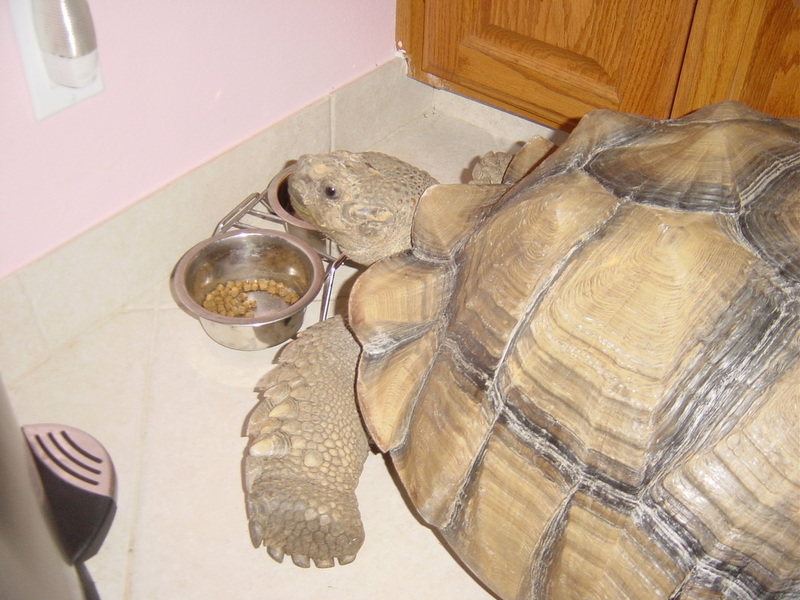 Rocko the Tortoise was privately owned but was in need of being rehoused. The Bird flew into our lives, literally While having a party in the backyard in 2012 he just flew in and never left. We of course looked for his owners as we weren't sure he was wild ? but anyhow for now he lives cage free here with us. 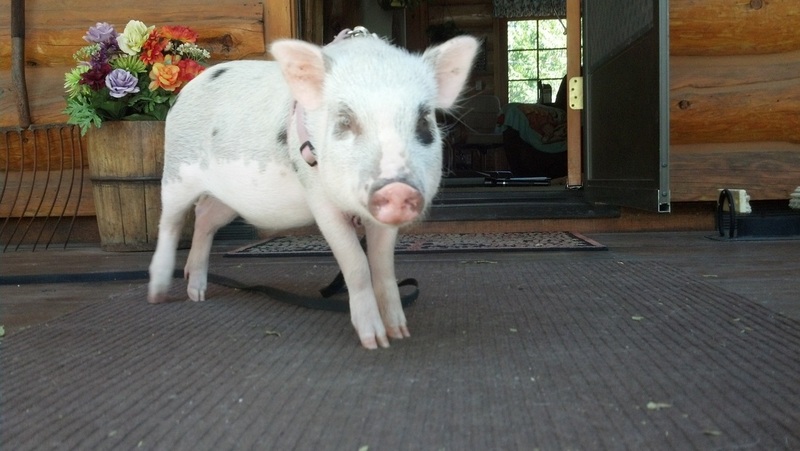 The mini pig is from a reputable breeder. To answer everyone's question about why one of our pets is not from a shelter please visit the page on pig facts. The Dog, Pig, Cat, Bird live and sleep indoors, while the Tortoise and the Hare live in the backyard, HOWEVER, On any given day at any time any one of those people trade places with the other. The Pig and the Tortoise play, the Dog and the Hare play, the Bird and the Pig and the Cat can be found indoors or outdoors at any time too. That funny little bird we have learned is a Green Checked Conjure and there is debate on the fact that he knew what he was doing when he flew in here. I wish others could see through my eyes. The number of inter species interactions I have had the privilege of witnessing on a daily basis. It is through them that I have learned so much about life. We should all raise ourselves to the level of our pets and stride forward in a better world! 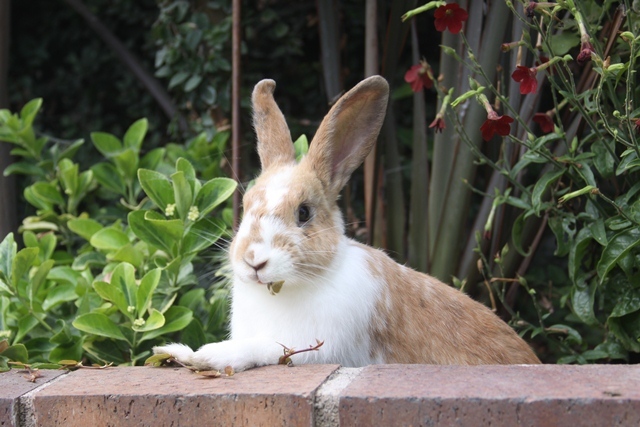 The real live story of the tortoise and the hare-iet! and to ask questions about breed, size, age or ?